There is parking at an intersection on the Green road at R30403 94495 A. 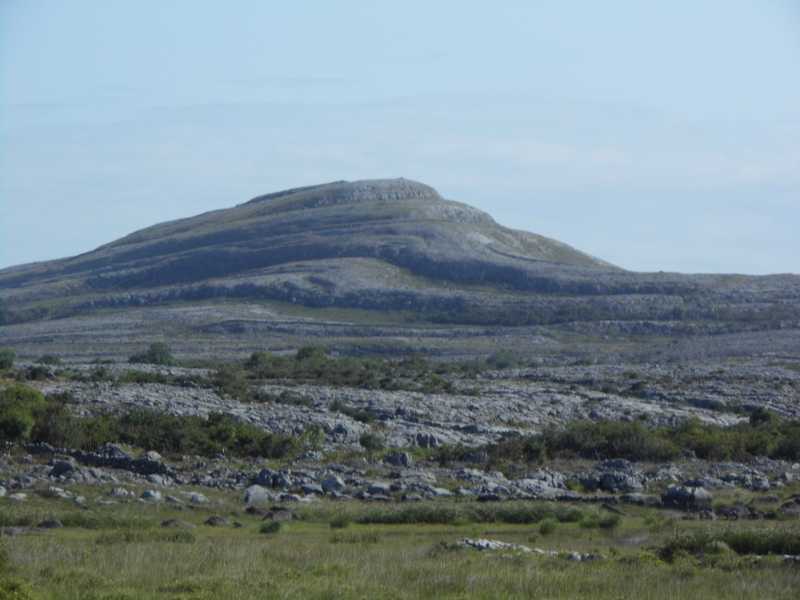 Follow the road east along the Burren way for about 1 kilometer. After the lake on the left, there is a gap in the wall at R31471 94362 B which is an indicator to hit out onto the open Burren towards the alien looking Mullaghmore. The route to the top is way marked and once on top it's easy to follow the ridge line north over to Slieve Roe and then north east over to Knockanes. Keep an eye out to the west to see the famous Father Teds house.